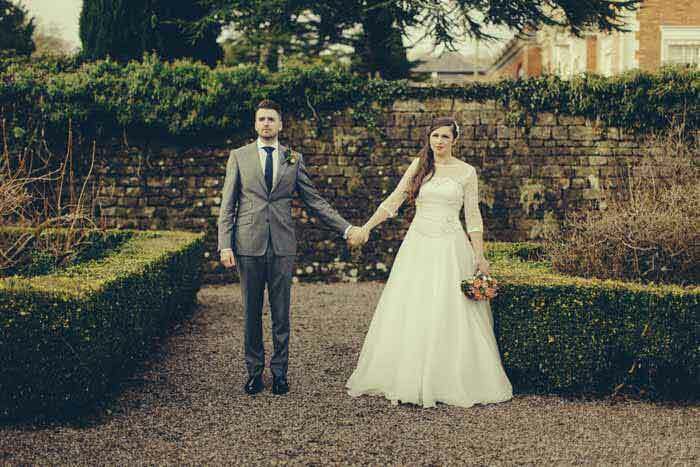 Amy Newton at Cherished Memories Photography details how this autumn-inspired shoot came together, drawing on the talents of local wedding suppliers. Autumn weddings are on the increase so my initial ideas for a styled shoot were instantly going to be autumn themed. 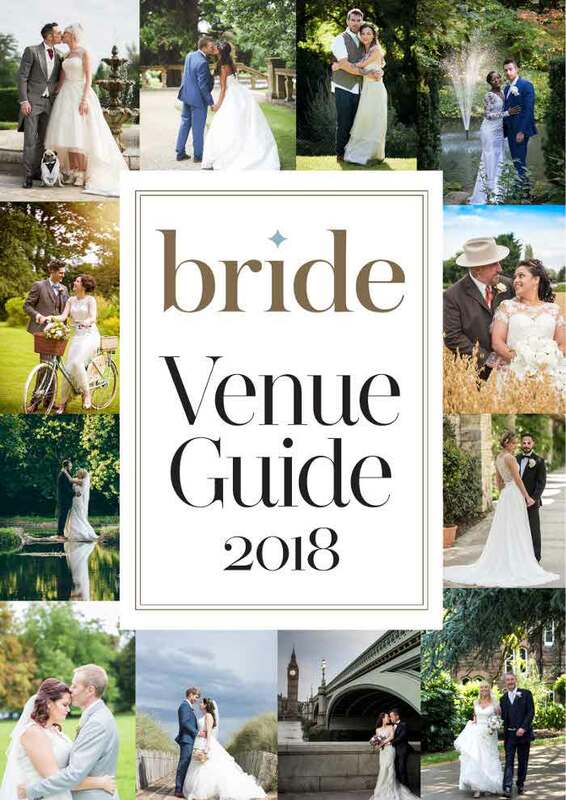 I cannot get enough of the rustic shabby chic and nature look, therefore I wanted something that would combine these and give the shoot that autumn vibe as we approach wedding season. 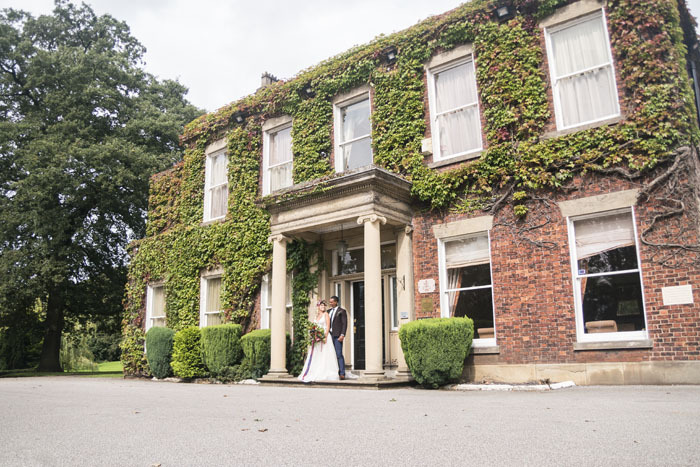 Farington Lodge is one of Lancashire’s most popular wedding venues and this styled photo shoot was inspired by the venue itself. 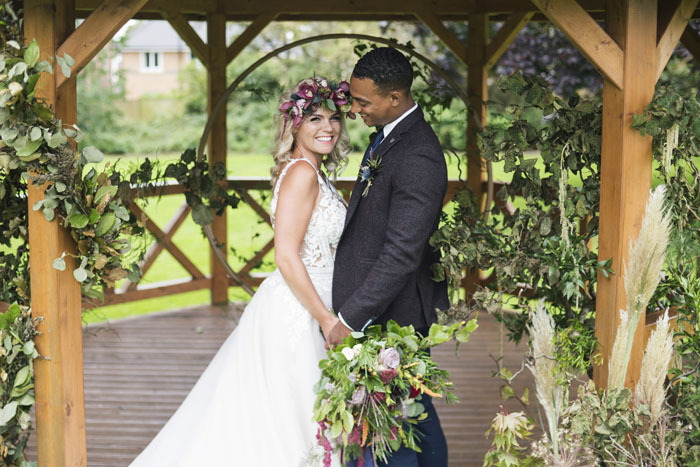 From its gorgeous front ‘autumn feel’ entrance covered in ivy to its surrounding beautiful woodland grounds; a perfect setting for an autumn wedding. 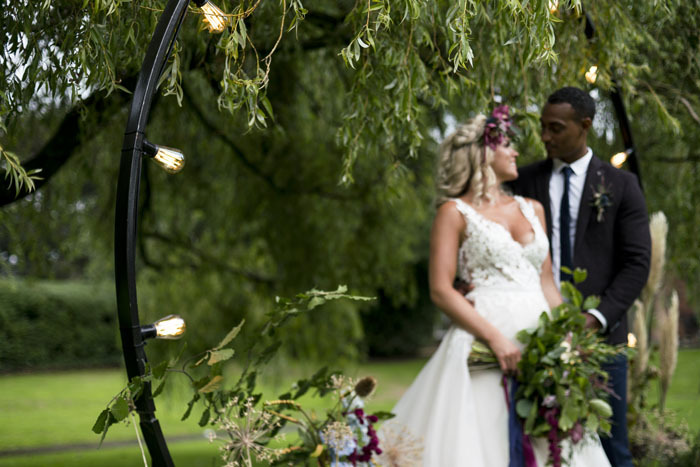 Milly Davey Flowers combined pampas grass, aged foilages and warm shades of seasonal flowers, which were a must when it came to this shoot. 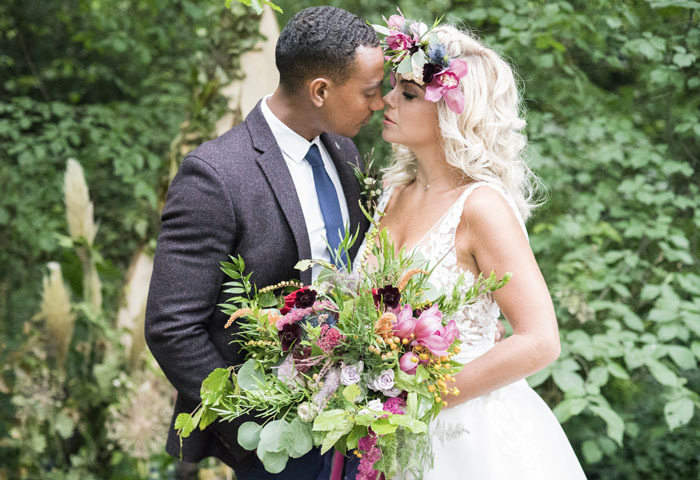 The bridal bouquet and headpiece were just beautiful and wild is so on-trend at the moment, with the silk ribbon trails it created the perfect autumnal bouquet. 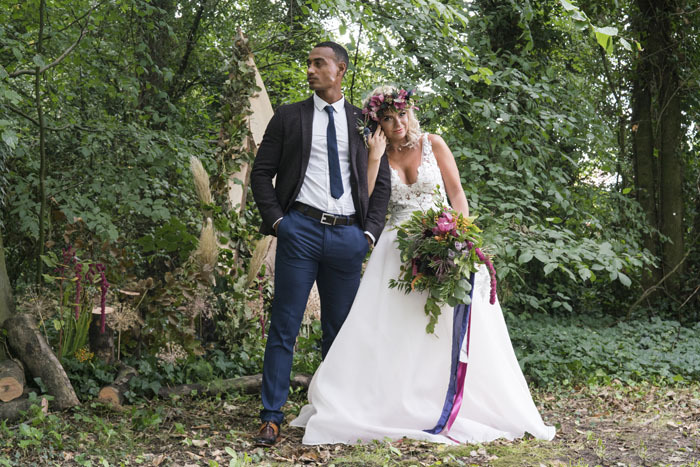 I wanted to explore my creativity by over-exaggerating the nature-style props, yet adding a touch of elegance by selecting autumn deep red, navy and peach tones of colour, which complemented the style/ theme of the shoot. 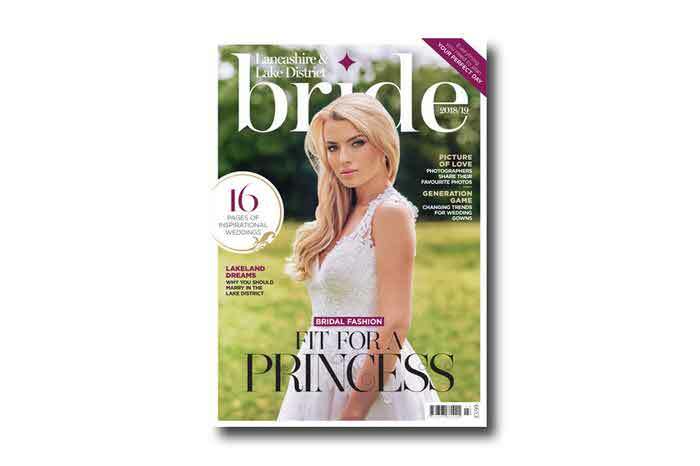 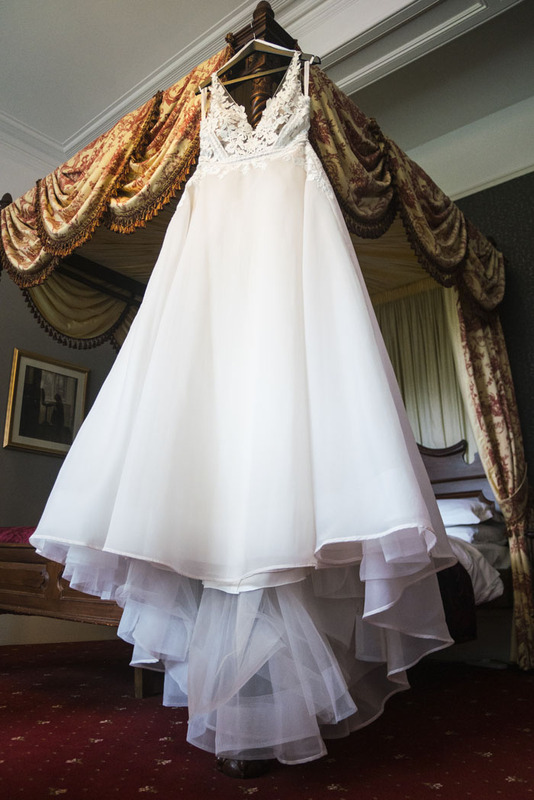 I wanted to go extraordinary for this shoot, therefore we chose a stunning Enzoani dress for model Sophie Baines, provided by Brides Gallery, which offered pure elegance and romance and featured gorgeous lace (not the typical pure white wedding dress you would expect). Keeping with the shabby chic and nature feel, I thought of nothing more than a large flower crown and loose plait and curls in the hair to complete this bride's look to perfection. 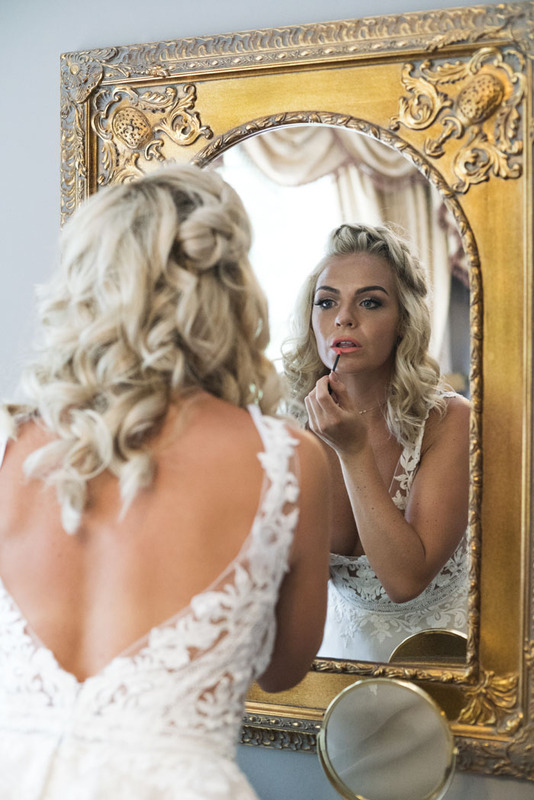 The make-up colour palette was chosen in-keeping with the tones of the flowers. 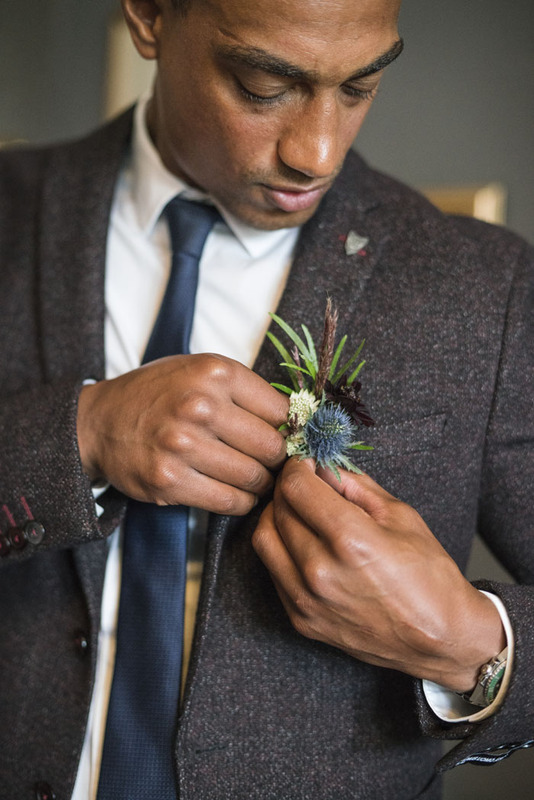 Again, for the groom, I wanted to go a bit different by selecting colours and textures that would not be the typical look you would envisage. 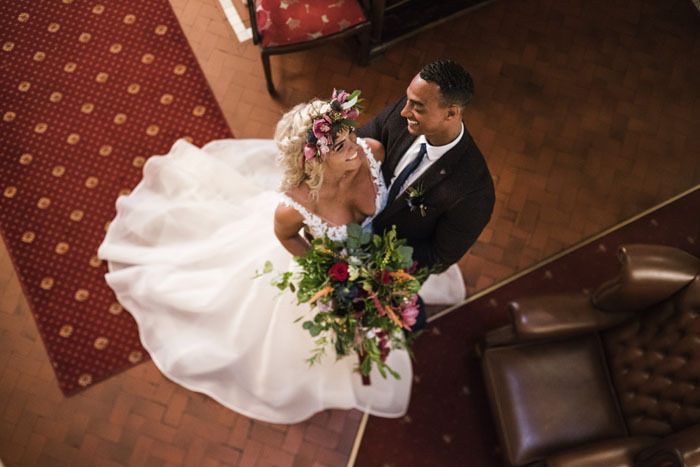 Colours of the suit, tie and shoes, modelled by Sheldon Oscar, were a perfect choice for an autumn wedding and would definitely have future grooms following in style. 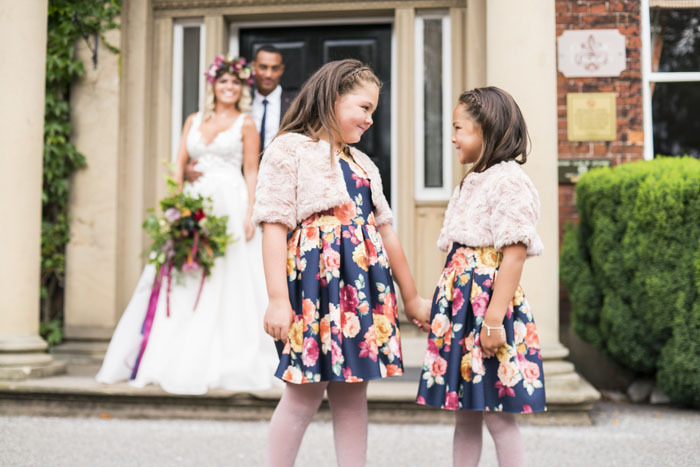 We chose gorgeous floral bridesmaids' dresses for the little ones: Sophia Howarth-Baines and Olivia Howarth-Baines, which again incorporated all the colour tones of this styled shoot. 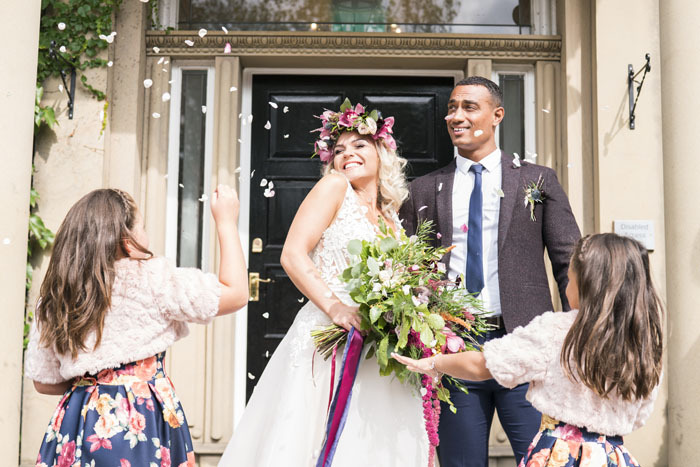 We see the floral bridesmaids' dresses becoming the next popular choice within the wedding world and we certainly love them.